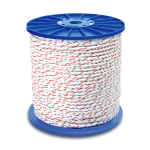 CWC Poly-Dac combo truck rope. 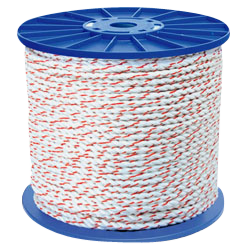 Durable, rugged rope, good for outdoor, hauling use. Made from high tenacity, coextruded polyester fiber with polyolefin yarn, allowing for lifetime strength and minimal stretch. Conforms to California State Highway Patrol requirements. Rope is white with orange tracer.